One good question when you read the account of Pharaoh and the Israelites is the question who hardened his heart? Did he harden his heart towards God or did God harden his heart? Second, before the first few plagues, Pharaoh hardened his own heart against letting the Israelites go. “Pharaoh’s heart became hard” (Exodus 7:13, 22; 8:19). “But when Pharaoh saw that there was relief, he hardened his heart” (Exodus 8:15). “But this time also Pharaoh hardened his heart” (Exodus 8:32). 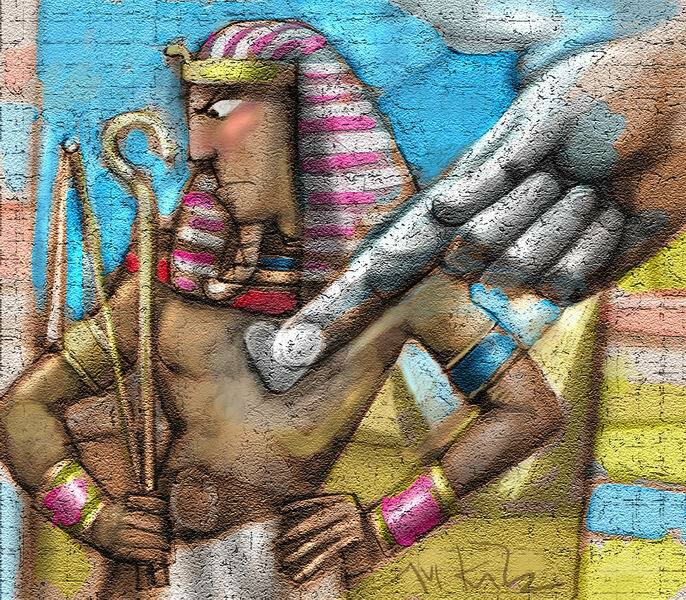 Pharaoh could have spared Egypt of all the plagues if he had not hardened his own heart. God was giving Pharaoh increasingly severe warnings of the judgment that was to come. Pharaoh chose to bring judgment on himself and on his nation by hardening his own heart against God’s commands. As a result of Pharaoh’s hard-heartedness, God hardened Pharaoh’s heart even further, allowing for the last few plagues (Exodus 9:12; 10:20, 27). Pharaoh and Egypt had brought these judgments on themselves with 400 years of slavery and mass murder. Since the wages of sin is death (Romans 6:23), and Pharaoh and Egypt had horribly sinned against God, it would have been just if God had completely annihilated Egypt. Therefore, God’s hardening Pharaoh’s heart was not unjust, and His bringing additional plagues against Egypt was not unjust. The plagues, as terrible as they were, actually demonstrate God’s mercy in not completely destroying Egypt, which would have been a perfectly just penalty. Thanks for your thoughts here. I’m blogging my way through The Bible’s story in 2013 and just took a look at God’s interaction with Pharaoh in a post today (“Does God Make Disposable People?”). I hope you’ll stop by. Feel free to share a thought.